Many people treat the Yuletide season not only as a vacation from work but also a break from healthy living. Who could resist those tempting Noche Buena favorites during this time of celebration with family and friends? Little do they know, Filipinos do not need to compromise their healthy lifestyle for a delicious spread during Christmas or any other celebration, especially with Doña Elena just around the corner. The trusted brand known for its products’ superior quality, excellent taste and abundant nutritional value, Doña Elena will satiate your family, friends, and guests' craving for perfect home-cooked meals. 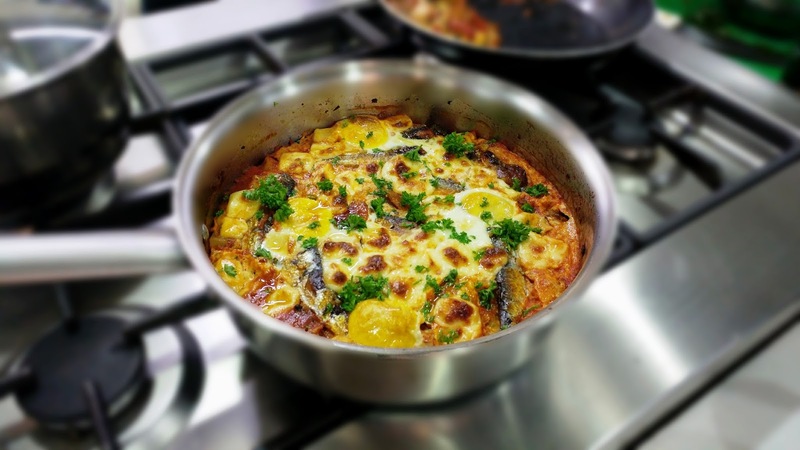 The Doña Elena line prides itself with top-notch products rich in protein and fiber-rich like Al Dente pasta, antioxidant-laden Olive Oil, and flavorful Spanish Sardines. And as a holiday treat to Filipinos across all ages, Doña Elena unveils this Christmas season the Doña Elena 100% Tuna in Sunflower Oil, which comes in Chunks and Shredded. This newest product line of Doña Elena carries several nutrients from omega-3, protein, selenium and vitamin D of the tuna to the omega-6 fatty acids, vitamin E, and polysaturated fats of the cholesterol-free sunflower oil. More than being healthy, Doña Elena 100% Tuna in Sunflower Oil in Chunks and Shredded is great tasting too making it an ideal partner to any dish, from beloved Christmas staples like pasta and stews, to everyday needs such as dips, patties, stuffing, and spreads. Above all, it’s 100% Pure Tuna meat, no extenders, preservatives and MSGs. In line with the promotion of their newest products, bloggers and other media partners were invited to a cooking event mastered by Chef DJ Santos, at The Cookery Place Kensington Place BGC Taguig last Nove. 18, 2016. 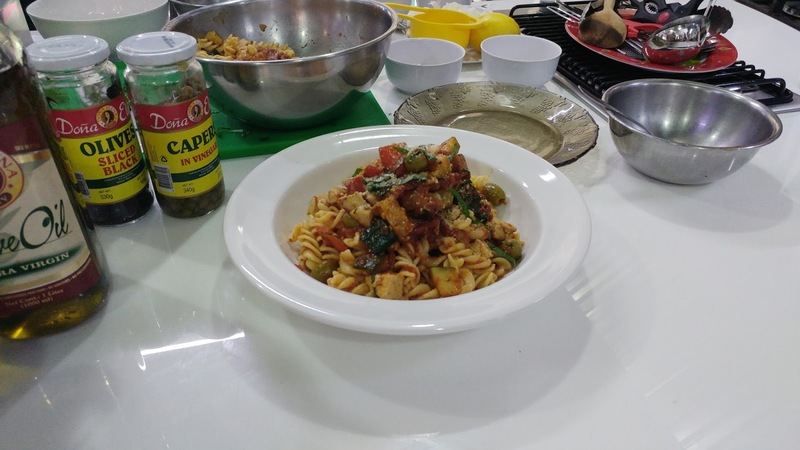 Participants were taught how to incorporate Doña Elena products to healthy holiday dishes such as the Tuna Pilaf, Sardine Casserole and Chicken pasta with Zucchini. 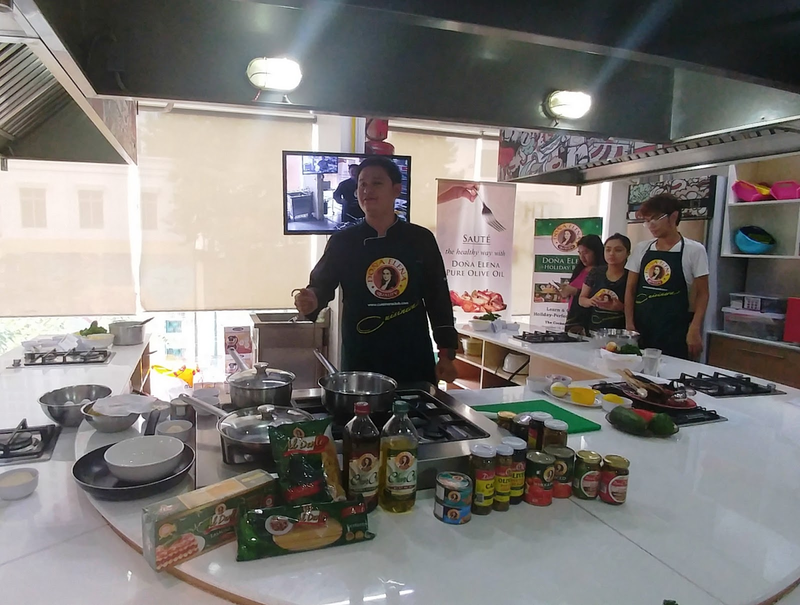 They were grouped into five and at the end of the session, they compete to a 20-minute kitchen challenge wherein they cooked their own dish using all the ingredients inside the place and of course Doña Elena products as main ingredients. With Doña Elena around, Christmas will be as merry and guilt-free as it should be. Doña Elena Mediterranean products are Olives, Capers, Italian canned tomatoes, Spanish sardines,Flat fillet anchovies, Al Dente pasta, 100% Tuna and Olive Oil. These are available in all leading supermarkets nationwide. For more details, check out Doña Elena on FB https://www.facebook.com/Donaelenacuisineraclub/.